OLD PARKED CARS. 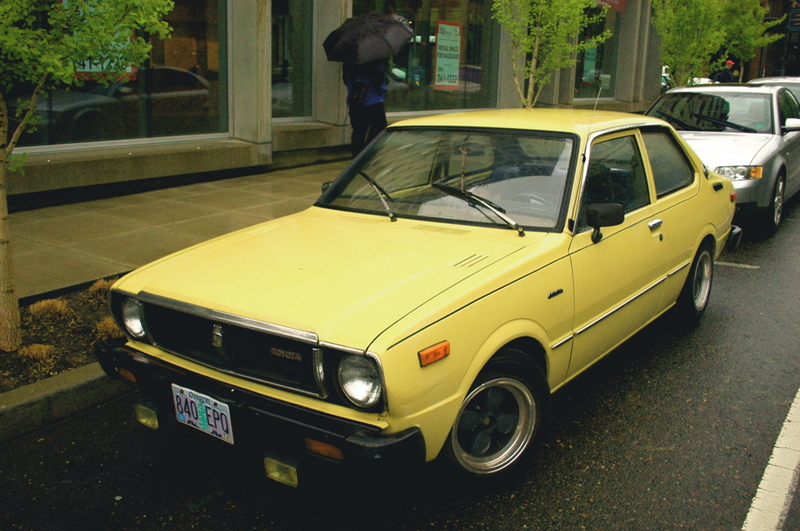 : 1979 Toyota Corolla 2-Door. Libres are a wonderful choice for any little 70s car, and what better stance could you ask for? 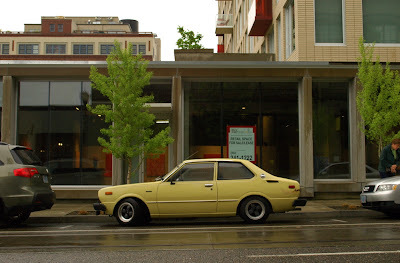 Don't usually care for mid-late 70s Rollas, but would definitely daily drive this. I don't think this is a coupe. 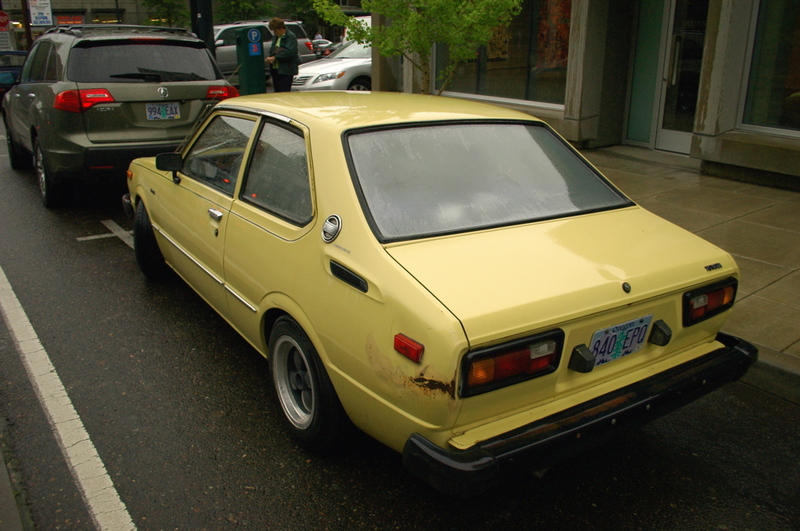 It looks more like a standard Corolla sedan. I believe this grill and the "Toyota" badge on the grill make this a 1979 model. For sale, as a matter of fact! If you see a '80 Diesel Rabbit, slammed, brown, black hood---that's me too! Haha, I think I was actually dozing in the passenger seat when you snapped the photos... I was pretty tired, waiting for a meeting. i love how you have this set up, toque. and yes, i decided not to include that detail, but you were indeed sleeping in there. nice blogs; working my through them this morning. Is this corolla for sale and if so how much?